Scientists studying brain process involved in sight have found the visual cortex also uses information gleaned from the ears as well as the eyes when viewing the world. Professor Lars Muckli, of the Institute of Neuroscience and Psychology at the University of Glasgow, who led the research, said: “Sounds create visual imagery, mental images, and automatic projections. The study, published in the journal Current Biology, involved conducting five different experiments using functional Magnetic Resonance Imaging (fMRI) to examine the activity in the early visual cortex in 10 volunteer subjects. In one experiment they asked the blindfolded volunteers to listen to three different natural sounds – birdsong, traffic noise and a talking crowd. Using a special algorithm that can identify unique patterns in brain activity, the researchers were able to discriminate between the different sounds being processed in early visual cortex activity. A second experiment revealed even imagined images, in the absence of both sight and sound, evoked activity in the early visual cortex. Lars Muckli said: “This research enhances our basic understanding of how interconnected different regions of the brain are. 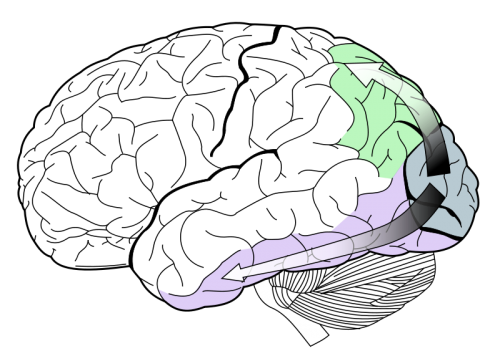 The early visual cortex hasn’t previously been known to process auditory information, and while there is some anatomical evidence of interconnectedness in monkeys, our study is the first to clearly show a relationship in humans. “In future we will test how this auditory information supports visual processing, but the assumption is it provides predictions to help the visual system to focus on surprising events which would confer a survival advantage. The project was part of a five-year study funded by a €1.5m European Research Council consolidator grant entitled ‘Brain reading of contextual feedback and predictions’, and the Biotechnology and Biological Sciences Research Council. The researchers will explore more sounds to find out how precise predictive coding in the brain can be.